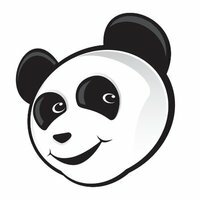 By integrating Freshservice with Asset Panda, any device detected on the customer’s network and its affiliated data such as model number, address, serial number, maintenance records, etc. can be detected by Freshservice and pushed into Asset Panda. 1. 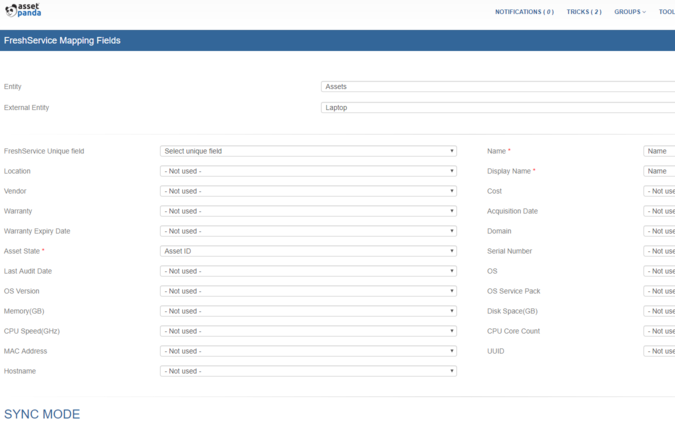 Ask your Asset Panda account rep or support team to activate the FreshService integration. password and press the save button. 3. You will then select the add new field map button and choose the Asset Panda group in which to sync items, and the FreshService group you want to grab the tickets or assets from. 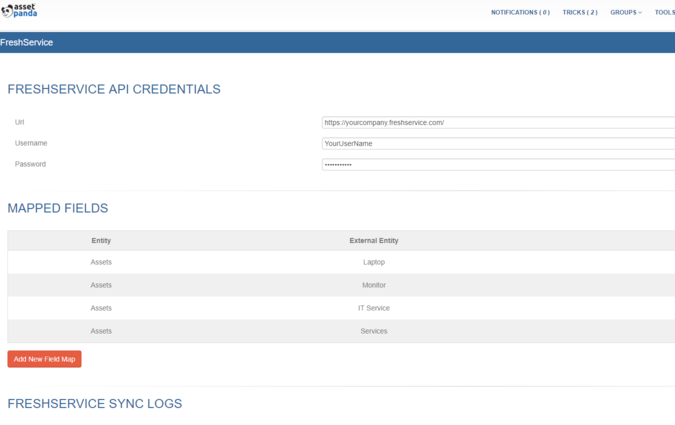 You can then scroll down and begin mapping any of the available fields from FreshService to your fields in Asset Panda. 4. Go to the group you have created the mapping for and you will see a new sync button available on the top left, hover over this and select download all from freshservice. 5. 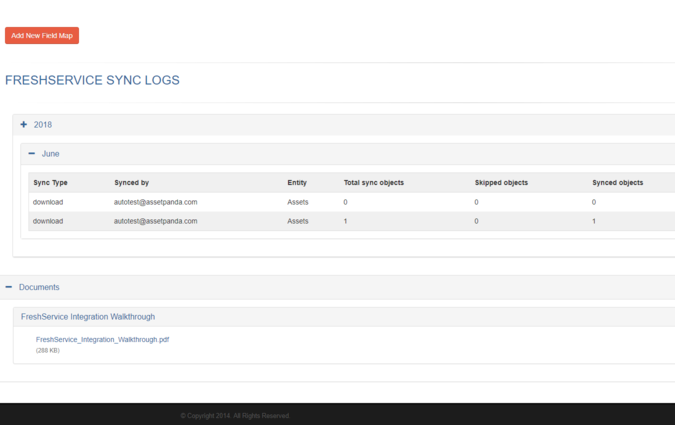 The selected items will begin to populate in Asset Panda, and you can go back to configuration > FreshService and expand out the logs to view the history of items that have been pulled over.